A book review of The Emperor of All Maladies: A Biography of Cancer, by Siddhartha Mukherjee, MD, PhD, Assistant Professor of Medicine at Columbia University. In The Emperor of All Maladies: A Biography of Cancer, Siddhartha Mukherjee, MD, PhD, Assistant Professor of Medicine at Columbia University, travels through time to tell the story of cancer. The book begins with a gripping tale of a young woman, Carla, and the clinical whirlwind that consumed her when she was first diagnosed with acute lymphoblastic leukemia (ALL). Mukherjee establishes a relationship between the reader and Carla, inviting the reader to learn about the trials and tribulations she faces with this diagnosis, and her experiences during treatment and acceptance of her disease. He weaves a fine thread of history into Carla’s story, exposing the foundations of the history of cancer. Starting with a recent era of cancer treatment, Mukherjee gives an astounding account of Dr. Sidney Farber’s impact on leukemia treatment and its eventual cure. Dr. Farber is the originator of modern chemotherapy. He founded the Children’s Cancer Research Foundation, now known as the Dana-Farber Cancer Institute, the first institution dedicated to caring for children with cancer. Stemming from a closet-sized office in the basement of Boston Children’s Hospital, Dr. Farber’s relentless pursuit to cure childhood leukemia is awe-inspiring. From his initial concept of the “antivitamin” to concocting multidrug regimens to combat leukemia, Mukherjee depicts the challenges and victories that Dr. Farber experienced at Boston Children’s Hospital. The road to the first cure for ALL tested the will of the young patients with leukemia who received multidrug chemotherapy regimens, as well as the doctors concocting chemo combinations and supporting these patients until the end of their treatment. With this leap of faith, along with the first chemo drug (aminopterin), and the creation of the first combination chemotherapy regimen, children went from surviving only a few months to surviving up to 6 months, and then to surviving for years and decades. This glimmer of hope in an otherwise gloomy, discouraging time fueled politicians and activists, such as Mary Lasker, a key health activist and philanthropist in the 1940s-1960s. She lobbied for medical research in cancer. Mukherjee described how she joined forces with Dr. Farber, and how they transformed the American Society for the Control of Cancer to the current American Cancer Society. Lasker also played a valuable role in convincing the US government to fund what was called “the war on cancer,” and the National Cancer Act was signed by President Richard Nixon in 1971. Mukherjee discusses the war against the tobacco industry, and the eventual recognition that smoking was harmful. From the National Commission on Smoking formed by President John F. Kennedy and led by Surgeon General Luther Terry, to the Rose Cipolone trial, the politics surrounding the harm of smoking captured the country’s full attention. As the correlation between smoking and cancer became more apparent, lung cancer deaths in older women rose 400% in the 15 years after Nixon declared war on cancer. Mukherjee also tells readers about the first signs of cancer in ancient times. As far back as 1600 BC, an Egyptian physician, Imhotep, scribbled hieroglyphics illustrating the first account of breast cancer, which he described as a “bulging tumor” that had no treatment. In 400 BC, Hippocrates introduced the first word for cancer, “karkinos,” from the Greek word for “crab,” which described the blood vessels feeding the tumor. In 160 AD, Galen described cancer as a static black bile that congealed into a mass. Galen’s description was one of the first theories that cancer was a systemic malignancy rather than isolated tumors. Mukherjee closes by sharing his own experiences with patients with cancer, continuously weaving new innovations in oncology with his approach to care. He recounts the “magic bullet,” also known as Gleevec (imatinib), which was one of the first targeted drugs for chronic myelogenous leukemia (CML). Gleevec changed the scope of practice of CML, and this new oral medication is a reminder of the revolutionary innovations in contemporary cancer treatments. 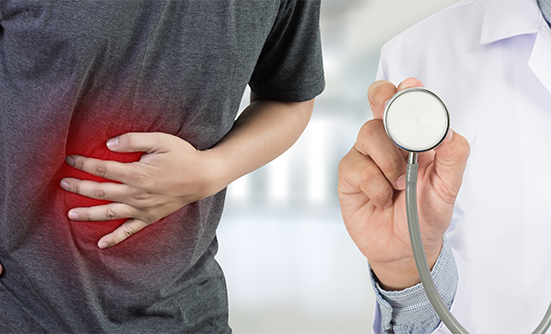 Using Gleevec for the treatment of patients with gastrointestinal stromal tumors (also known as GIST) significantly improved patient survival, and reinforced its “magic bullet” nickname. Mukherjee keeps Carla as a cornerstone of his “biography” of cancer, ending with the fact that her cancer remains in remission 5 years after her first treatment, where the book began. This book is written with the layperson in mind, expertly explaining the history of cancer to develop a foundation for understanding the movements to prevent, treat, and cure cancer in the future. Mukherjee incorporates the details of each historical event, while also embedding professional training in cancer, adding a more personal touch to this magnificent book. This comprehensive and exhilarating account of the history (or story) of cancer is extremely engaging and lively, and has recently been turned into a TV series. It puts a difficult topic into a perspective that allows all readers to understand the past, present, and future of cancer. Annette McElhiney offers a liberating account of personal strength and identity following an ovarian cancer diagnosis.